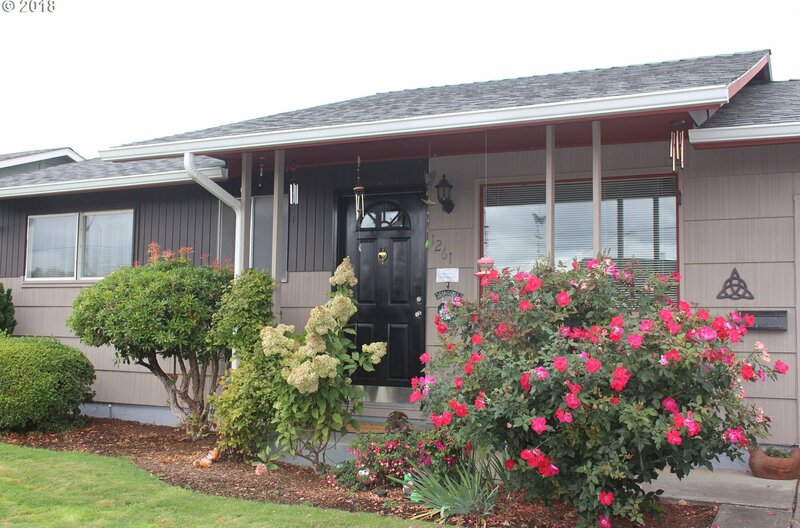 Well maintained home & garden in Woodburn Senior Estates, 55+ community. Open floor plan w hardwood floors & 2 bedroom & 1-1/2 baths. Master bedroom with private bath. Kitchen includes range, refrigerator, dishwasher & disposal. Forced air gas furnace & A/C. Washer & Dryer to stay. Backyard paradise w covered patio & yard w raised garden beds & fruit trees. Many community amenities & activities. One time Buyer $3000 HOA transfer fee. Listing courtesy of Oregon First. Selling Office: Bright Home Real Estate Group.